In a family history done in 1889 it states that Jane Younger was alive. She was born in 1792 and on 1881 census was aged 88. She was the daughter of James Hunter. I have checked Scotlands people and can find no trace of her death listed. Her husband was George Younger, Brewer (of Youngers Brewery) and he was buried in Alloa Churchyard when he died in 1853. Jean Hunter/Younger, age 97. Death occured in Alloa, CLACKMANNAN. www.scotlandspeople.gov.uk a ppv site - £6 buys you 30 credits which will allow you to download 5 entries - which give exactly the same info as certs. With the info you have ,will allow for the download of both death entries and then a further 3 downloads. The will can be obtained from the same site. - cost of £5.00. With a will you have to select it. It goes into a basket and then you have to pay for it seperately. Monica and Steve, thank you both so much for your invaluable help. I have been doing Fam History for over 25 years, but had a mental block when inputting only Jane and not trying variants as I usually do. What a wally! I have a subscription for SP as I have been looking into the extensive Younger Family on and off for a while. My mother was a Younger distantly related (but on the poor side!) to the Brewers. Her gt grandfather James, a Joiner, migrated south, married a girl from Welshpool and settled in Brikenhead where he and his family remained. After stumbling upon this thread by accident - I decided to register. With my interest in the local brewing tradition I have been researching the Youngers of Alloa - and the family connections with other Scottish breweries. I'm thinking that George (1790-1853) and Jane Younger's (died1890) son James (1818-1868) became head of the Alloa brewery and married Janet McEwan (1823-1912) sister of (the later) Sir William McEwan (1827-1913) who was to become one of Britain's major beer barons. Another son, Robert (1820-1901) went to Edinburgh and opened his own brewery there. I am in correspondence with members of both the Alloa and Edinburgh branches of the family - as well as a member of the McEwan-Younger branch. 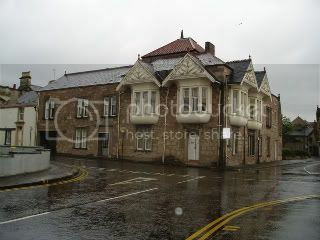 The former Meadow Brewery, which included the family home in that period, still survives in Alloa, now converted into flats. I'm no genealogist (did I spell it correctly ?) so please bear with me. The male line of the Youngers quoted followed their fathers as head of the brewery, although not always the eldest sons - I don't have much info on any "missing" sons. Mary Bleloch (died 1837) married James Younger (1763-1809) in 1789, his father George (1722-1788) had started the family brewing business circa 1764. Their son George (1790-1853) married Jane Hunter (1792-1890) in 1816. Their son James (1818-1868) married Janet McEwan (1823-1912) in 1850. His younger brother Robert (1820-1901) moved to Edinburgh and founded his own brewery there in 1854. Janet's brother was William McEwan who founded the renowned Fountainbridge brewery in Edinburgh - of McEwan's Export fame. James and Janet had 5 sons and 1 daughter - I have a photo, circa 1858, of Janet and 4 of the boys (the youngest was then unborn) and the girl. This generation, great grandchildren of Mary Bleloch, brought the Younger family to national prominence. His younger brother William became managing director of William McEwan's (his maternal uncle) brewery in Edinburgh in 1886 and guided it into becoming one of the biggest brewing concerns in the UK. Their younger brother James settled in St.Andrews and gifted the Younger Hall to the university. The youngest brother Robert became a very prominent legal figure, later Baron Blanesburgh. Would you like me to post the photo mentioned above ? Thank you, Macalloa for that information. Your link to the oxforddnb.com has been very useful too! Mary and Jean Bleloch were two sister who married two of the Younger brothers... Mary married James Younger and Jean married George Younger. However George Younger died at an early age, and his children were brought up by their grandparents from the Bleloch side on the farm. Mary and Jean were children of John Bleloch and Margaret Hunter. I don`t know if you are from the area yourself, but their family farmed the farm of Gartgreenie over many years. I have just been on holiday to Scotland and enjoyed the countryside where the farms are in Clackmannanshire. If it is no trouble to yourself, I would love to see a photo of Mary Blelochs g-granchildren. I hope it isnt too much to ask whether you also have any photos of the gravestones at Alloa. Mary Bleloch is also buried there amongst the Youngers!